Abhijeet Singh is the Fraud Product Manager at wholesale carrier BICS. He has extensive experience of product management, fraud risk consulting, fraud operations, presales and business development. 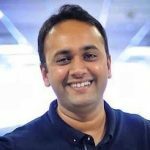 Prior to joining BICS in 2016, Abhijeet worked for leading RAFM vendor Subex, where he specialized as a product manager and consultant responsible for fraud management tools and services. Abhijeet has a Bachelor of Engineering in the field of Computer Science.